It has now been four months since the record flood event in the Tweed catchment and the World Heritage Rainforest Centre remains closed with its future still uncertain. Because floodwaters have threatened/impacted the building three times in the last five years it was decided to seek closure from the stress of this (and future) disasters. All fixtures and artworks have been removed and unfortunately our tenure has ended. Many thanks to all exhibiting artists, patrons, Destination Tweed, Tweed Shire Council and visitors who supported the gallery over the last six years. 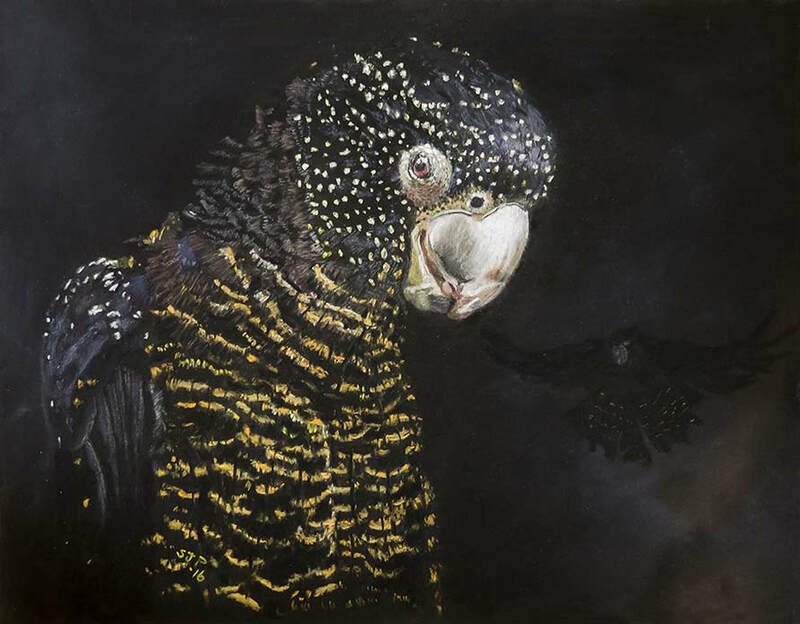 A new gallery showcasing natural history art is to be established in the Murwillumbah CBD later this year. 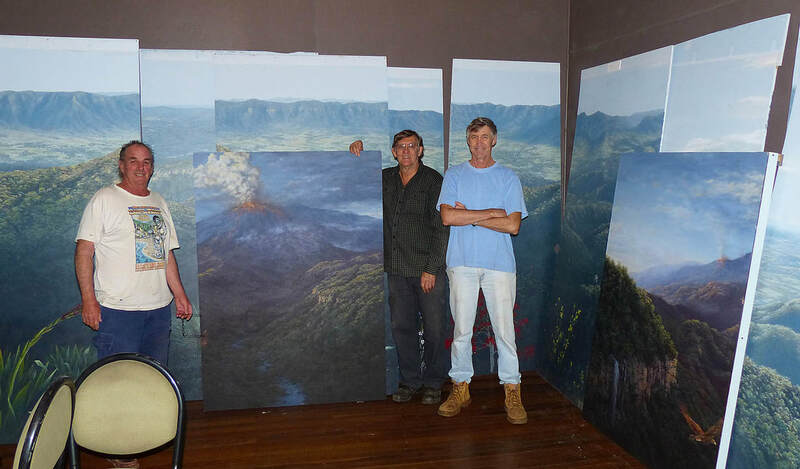 Thanks to a collaboration facilitated by the Tweed Experiences Network, an excellent venue has been located for the Panorama painting formerly housed in the Rainforest Centre. The 16 panels were recently moved to a perfectly sized room above the Courthouse Hotel in Main Street. The public-spirited owners of the CH are excited to have such an iconic artwork housed within their establishment and the Murwillumbah CBD. Andy Reimanis has begun re-configuring each panel to fit a conventional level surfaced room (originally the panels were in a stepped down sloping room). Along with constructing the supporting framework (18 meters in length) and overseeing the new lighting, he has also volunteered to paint the extra floor level 'foreground' panels needed to display all the original floral artwork by previous contributing artists. Work is due to be completed during September. ​Caldera Art has been fortunate to have had an exhibition in the Tweed Regional Gallery every third year since 2008. CA2017 is scheduled for September 22 - December 3 with opening night on Friday Sept 29. ​The artwork of Jennifer Porter, Greg Newland, Heidi Ledwell, Janet Hauser, Greg Mulheran and Kim Godfrey has been selected by representatives from Council's Natural Resource Management section (major supporters since 2008), Caldera Art and the Tweed Regional Gallery. 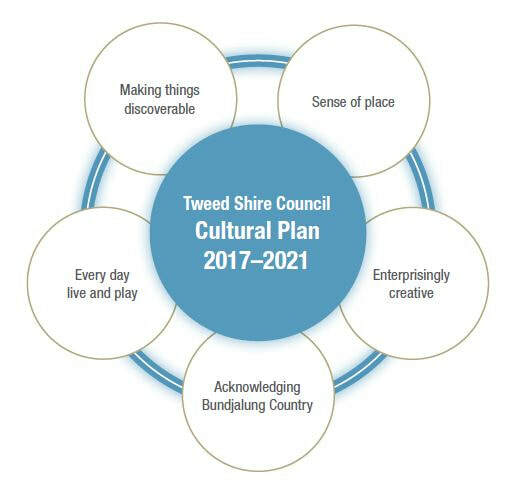 Submissions to the Draft Tweed Shire Council Cultural Plan 2017-2021 are currently welcome (closes 14 August). This plan sets the course for cultural activity and investment during the next four years The themes, objectives and projects are in line with values expressed in the adopted Community Strategic Plan 2017-2027. ​It is structured around five themes which reflect the interests and needs expressed by the community during public consultation. One such theme, Sense of Place, has "awareness enhancement and sustainable management of the natural environment" as a core objective. Creative Caldera is a not-for-profit organisation networking and supporting creative folk in the Tweed. Their AGM is on at The Citadel, Murwillumbah (21 Queen) on August 10, 6.30pm to elect the new committee and plan for the coming year to support creatives and their communities. Current and intending members are most welcome to attend. Please email Natascha . There's also a casual dinner afterwards - details when you reply. This event is is one of a series of four offered by Destination Tweed to engage the community with planning and managing the future of the Tweed as a tourism destination. The shire's natural environment is its best asset and yet to many it remains out of reach. Visitor economy provides an opportunity to contribute to its preservation. You are invited to be part of the conversation to explore to further establish the Tweed as a nature based destination. Two of the Council's most popular community events are fusing when the 2017 Home Expo "Living for the Future is held at Seagulls on Saturday 16 September. 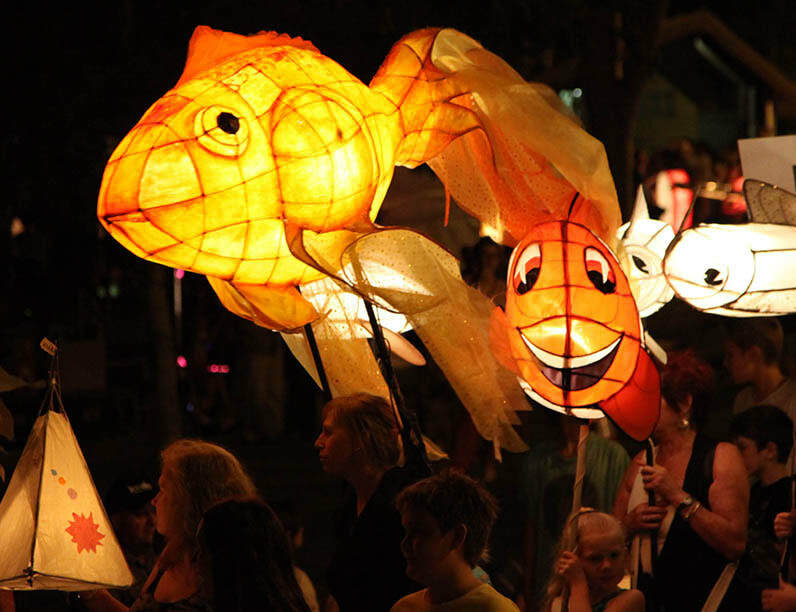 It will also incorporate the most popular aspects of the annual Tweed River Festival, which this year has been renamed Lights on the Tweed. Both events focus on lifestyle and sustainability for Tweed residents, so there is great potential for their activities to complement one another. The Home Expo, being held from 10am to 4pm, will again be a one-stop shop of ideas and products for more affordable and environmentally-friendly homes and lifestyles. Attention will then turn to Lights on the Tweed, which will be held on Seagulls' grounds on the banks of the Terranora Inlet, from mid-afternoon and continuing into the evening. Caldera Art has traditionally participated in the TRF since 2011. Caldera artists have also supported this festival over the years with paintings adorning the walls of the historic hall. The Tyalgum Music Festival 2017 promises a unique mix of ticketed concerts of high calibre musicians alongside fun, free outdoor community music events and village pop-up concerts. The creative ambience of the village by day is highlighted with art exhibitions by local artists, outdoor sound installations and the Saturday village market. The day finishes with late night music and wood-fired pizza. All this with stunning views in all directions.